Carol's mission is to help re-link her client's body, mind and spirit with a variety of somatic therapies and bodywork. 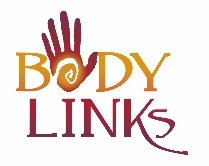 Carol A. Gallentine started Body Links CranioSacral Therapy and Therapeutic Massage in 2000. She graduated from Health Enrichment Center in 1995 as a Massage Therapist. While attending HEC, she took a weekend course on CranioSacral Therapy (CST) and fell in love with the modality. In 1995 she started her CST journey with the Upledger Institute (www.upledger.com). Carol serves as a Teaching Aide for CST I and II. Public Speaker 1999 helping people to think outside the BOX!